When you are ready to up your game and venture into other bourbons, here are a few to try. 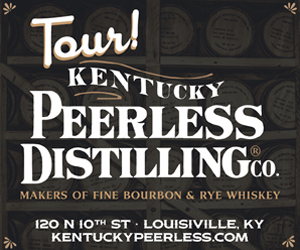 Get excited…you’re getting closer and closer to becoming a Bourbon Badass! Four Roses Small Batch: At 90 proof, combines the best of their proprietary blends together at just the right time to create one of the smoothest bourbons around. Larceny: It is produced by Heaven Hill Distillery, the largest independent, family-owned and operated producer and marketer of distilled spirits in the United States. While there is no age statement on the packaging, this bourbon has been hand selected by the master distillers to have a taste profile of a six-year bourbon. Blanton’s Original Single Barrel: Blanton’s has a very distinctive packaging that makes an impressive addition to any bar, but it is what’s inside that will impress your friends. It is billed as the world’s first modern single barrel bourbon and is 93 proof. Michter’s US 1 Kentucky Straight Bourbon: This bourbon stands at 91.4 proof. While there is no legal definition for “small batch,” Michter’s never pulls more than a couple dozen barrels into a bottling run at a time. Jefferson’s Reserve Very Old Kentucky Straight Bourbon Small Batch: This special blend of bourbon marries together three different bourbons, some aged up to 20 years, to create an amazing flavor profile that does not disappoint. *From Linda Ruffenach’s upcoming book, How to Be a Bourbon Badass.